So you bought a cheap security camera system we don't hold that against you. Actually, it is a great thing. It means you are serious about increasing your security, but unfortunately you just got misled on selection of equipment. Shortly after installing the system, you began to see the drawbacks, and maybe aren't quite satisfied with the quality of your recording. Don't worry, there are things you can do without throwing the whole system out to improve the quality of video. 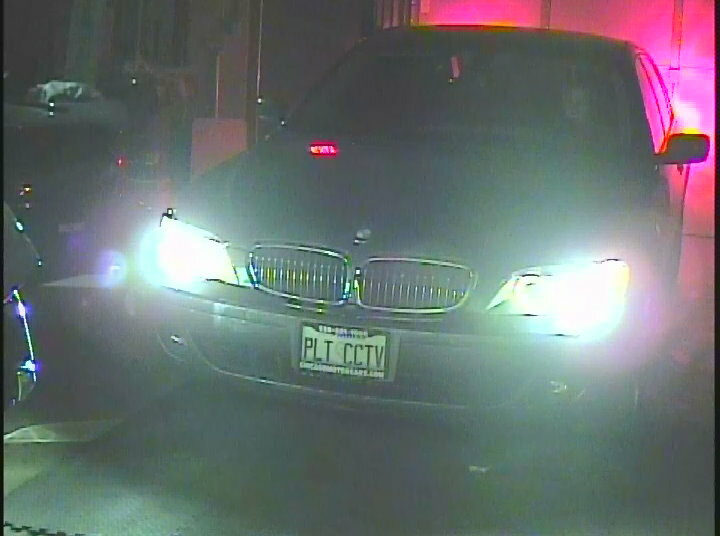 My cameras don't see very well at night - Yes, we hear this one a great deal. In order to bring the cost of the systems way down, the cameras they include are not always the best, especially when it comes to night vision. The image sensors in these various brand cameras are usually less sensitive in low light conditions, so when the IR illuminators turn on at night, they only see 5-15 feet in complete darkness. Playing the odds a bit, but you are probably reading this because this isn't far enough. Solution: Our full line of Analog CCTV cameras start with a low lux image sensor, this means that even if the cameras didn't have infrared night vision, they would still be able to see even in extremely low light conditions. At the same time, this makes the cameras more sensitive to the infrared light, so when the illuminators come on, they can see a much longer distance even in complete darkness. This is why even though some of the cameras may look similar on the outside, they are immensely different on the inside. Below are a few options for replacement security cameras that will help enhance the overall video quality of your system, and improve the chances of catching what is truly happening in the dark. 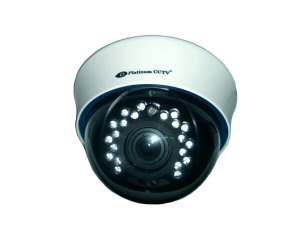 CD-8322 - Outdoor Armor Dome Style Camera with up to 65' of Infrared IR Night vision in complete darkness. This camera starts with a 700TVL Sony CCD Image Sensor with low light capability and adds IR Leds for great budget-minded low light night vision with a step up in picture quality as well. 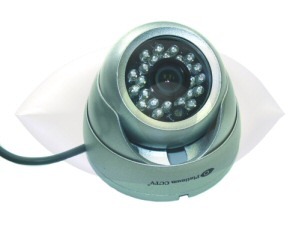 ID-4362 - Indoor Infrared dome with adjustable zoom lens. This 720TVL Sony CCD Image sensor improves the quality of your video, and has an adjustable lens, which means that you can zoom in on the action to get a better shot. These cameras are ideal to upgrade your basic cameras if they are mounted indoors, and covering a hallway, entryway or even a wide room. The lens adjusts between a 100 degree field at widest and a 30 degree width at narrowest. While nothing will make these recorders record at HD resolutions, the trick is to get as close to where the people will be as possible with the camera and the lens, that can deliver you the distinguishing characteristics you need for identification. CD-9362 - Outdoor Long-Range Infrared Night Vision bullet camera with adjustable zoom lens and HLC (Head Light Compensation). 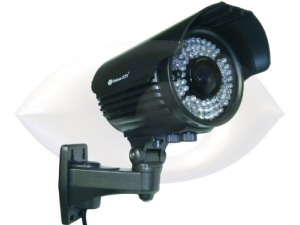 This camera represents the best of the analog technology supported by these basic DVRs, offering 720TVL video from a Sony CCD Image sensor, with Long Range IR LEDs. This image sensor has superior sensitivity to light for a low light environment and even better IR night vision with the high power LEDs. The built-in headlight compensation will even dim down headlights to allow the best shot even if a vehicle is driving right at the vehicle. With HLC, this powerful camera can even give you the best chance of license plates and characteristics even when high beam headlights are employed. With the 2.8-12mm varifocal lens, this camera should be used with a D1 or 960H recorder zoomed in with a maximum line of sight distance between the lens and license plate of 26-28 feet for best capture of license plates. This camera is the best upgrade for older security cameras. 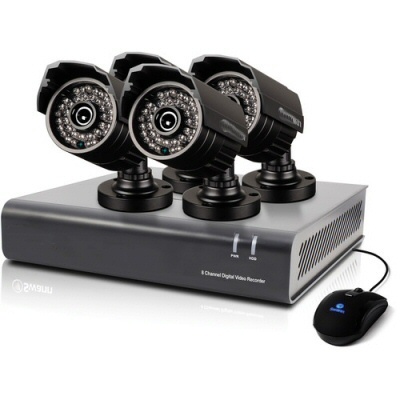 Just because you purchased a cheap, pre-boxed security camera system doesn't mean that you are permanently limited to the poor resolution and night vision that you bought into. A simple camera upgrade, by just unplugging your old camera and plugging in a new, upgraded model you can breathe new life into your security camera system.